The practice of inducing users to download an app by offering them virtual goods or currency in a mobile game got knocked around earlier this year when Apple (s aapl) banned the practice for new and updated iOS apps because the campaigns apparently gamed the App Store rankings. But the practice continues to live on other platforms including Android (s goog), which is becoming a force for developers. But a new study suggests that apps downloaded through incentives are largely abandoned or uninstalled, providing little long-term benefit to the app developers who use these app distribution campaigns. According to a Harris online survey on behalf of mobile ad provider Pontiflex, only 3 percent of apps downloaded through incentivized install campaigns are used frequently. Of the remaining 97 percent, 62 percent of users never use an incentivized app again after downloading it including 37 percent who uninstalled an app after receiving a reward and 25 percent, who only used an app once to redeem the incentive. Another 17 percent also said they hardly ever use an app after downloading via an incentive while 18 percent said they occasionally use the app. Now, the numbers could be questioned because of the sponsor of the survey Pontiflex, which has its own app distribution tool called Pontiflex AppLeads. But it nonetheless raises some interesting questions about the long-term value of incentivized install campaigns. They can be still be good for providing a download boost. 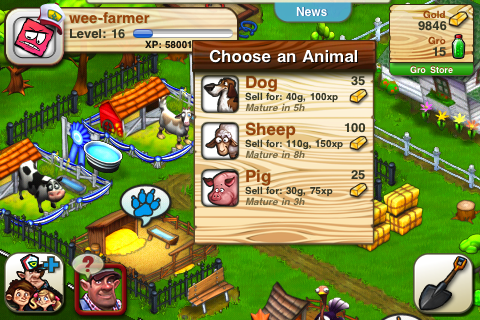 And they can also be a good revenue source for developers and publishers who run these ad campaigns in their apps. But for developers who are trying to not only gain downloads but monetize them after the fact, the survey data suggests that can be a tough process. It shouldn’t be surprising. Dangling virtual currency in exchange for downloading an app can entice a lot of people but doesn’t mean they will use the app. And in many cases, it seems like people have little interest in apps beyond redeeming their reward. This is important for developers because if the abandonment rate is extremely high, there’s a decreased chance of getting users to pay for in-app purchases or monetize them through mobile ad impressions. The survey also found that only 7 percent of smartphone users and 15 percent of tablet users who download free apps said that they prefer video ads that take over your screen and force you to watch a video. And about one third of users — 35 percent of smartphone and 34 percent of tablet owners — expressed concerns that mobile video ads will increase their data costs. This might be troubling for rich media ads, which have fetched higher impression rates but may not be as attractive to end users. Again, this is helpful for Pontiflex, which offers simple sign-up ads that let people choose which companies they want to communicate with. But it raises questions about what consumers want in their mobile ads. Obviously, most people would like to avoid ads. But they may not be as enamored with big videos and animation after they get used to the novelty, at least if you believe Pontiflex. There’s still room for many ideas in mobile monetization and marketing but it’s still early and it’s unclear what model will work best longterm with mobile users.